A brace from Samukelo Nkosi helped Alexandra United to a 2-0 win over Kathorus in a SAFA Second Division encounter at Huntersfield Stadium on the weekend. 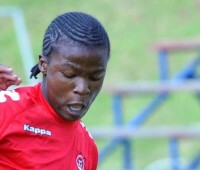 Super sub Bathabile Letsoalo set-up Nkosi on both occasions as Alex United remained atop the league standings. A 1-1 stalemate with AMABee saw Alex’s lead cut to two points, but the recent 2-0 win sees them keep that two point gap intact heading into the final five fixtures of the season. Alex’s next game is against JDR Stars at Balfour Park on Saturday.